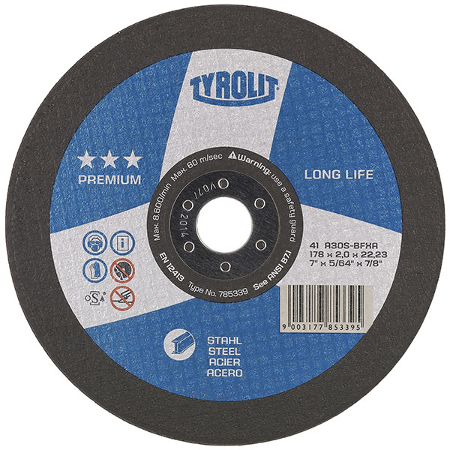 Tyrolit products grind, cut and drill almost any material of any hardness using advanced technology from Tyrol. The experts at Tyrolit are known throughout the world for mastering a wide variety of challenges and are highly sought-after partners in the development of new and innovative solutions. Flap discs are enjoying growing popularity as they are more flexible than other grinding wheel, offer increased comfort when working and provide high performance and lifetime. 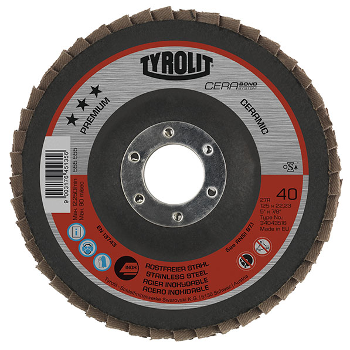 Tyrolit have developed flap discs for every application and requirement. These cut-off discs meet the highest safety standards and contribute significantly to improving your working conditions. Reduced vibration and noise considerably improve your level of comfort while working.